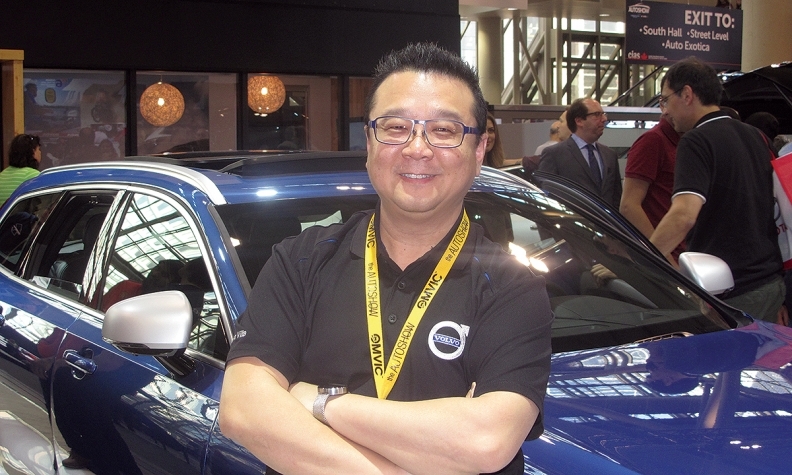 Pat Lau's experience in consumer electronics means that he is now the go-to person for technology information at Volvo Villa in Thornhill, Ont. A mid-life career change can sometimes be dicey, but not for Pat Lau. After 20 years in consumer electronics, he made the switch to auto sales at Volvo Villa in Thornhill, Ont., north of Toronto, and hasn’t looked back. “I was lucky to start my vehicle sales career at a luxury make, like Volvo,” says Lau, adding that most new-to-the-business hires are usually required to spend time at mainstream brands before making the jump to premium. He says that his outgoing personality and technical proficiency in consumer electronics convinced the dealership to “take a chance” on him. He didn’t disappoint. He came to quickly understand all the infotainment, connectivity and safety features in Volvos, and to effectively explain those technologies to prospective customers. Even though he has been in the car industry and at Volvo Villa for only one-and-a-half years, he is already the “technical lead” for all sales consultants at the dealership, helping his colleagues when they have questions or need information and clarification on Volvo technology. Lau is also the dealership’s point person for Volvo’s Overseas Delivery Program, which gives customers the opportunity to take delivery of their Volvo cars in Sweden and combine that with an overseas driving vacation. Astrex General Manager Mark Blackmore gets pumped up and “nerdy and techie” when he talks about structural aluminum. During the Canadian International AutoShow in Toronto in February, Astrex Inc. of Lakeshore, Ont. 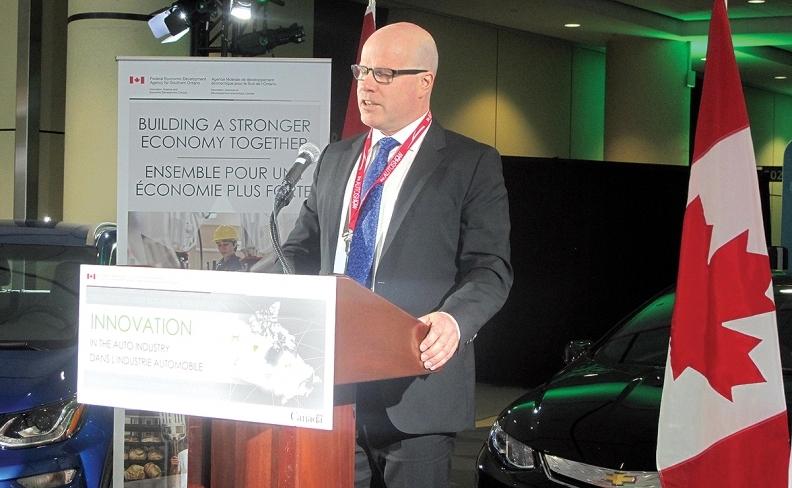 (near Windsor) was awarded $17 million in repayable loans from the federal and Ontario governments for a facility to produce lightweight aluminum automotive components. Astrex General Manager Mark Blackmore wasted no time in enthusing about Astrex’s technical expertise in aluminum. Blackmore received an engineering degree from the University of Calgary and a graduate economics degree from YorkUniversity in Toronto. Former CFL player Blaine Schmidt built his restoration shop from scratch, so everything — from paint to engine and interior work — could be done under one roof. With 13 specialized techs and 26,000 square feet (2,400 square metres) of shop space, Boot Hill Auto in Erin, Ont., northwest of Toronto, is a large and busy automotive restoration shop. Owner-operator Blaine Schmidt says he didn’t suddenly wake up one day with a grand scheme to get into this business in a big way, Rather, it just sort of happened. “When I built this facility, I didn’t really have a business plan,” says Schmidt. 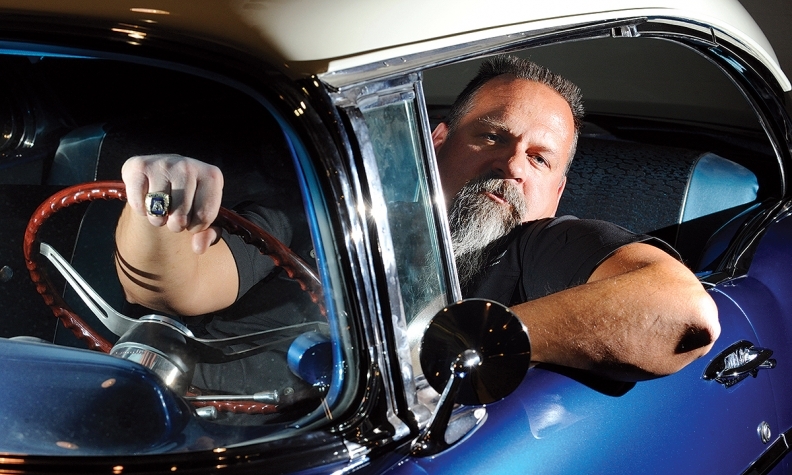 He played 12 years of professional football in the Canadian Football League and ran other businesses while indulging in his passion for restoring classic cars. When he began to run out of room for his hobby at his home in Erin, he spotted some land nearby. “If I did build a shop from scratch, how would I do it?”He noticed that whenever something went wrong with a car restoration, “everybody was always pointing fingers at the last guy” who worked on it. He envisioned a shop where the entire restoration process would be done under one roof, so there would always be accountability, efficient workflow and no finger pointing. The shop he envisioned was completed in 2008. Then as now, it offers a complete range of restoration services: fabrication; body work and painting; interior and trim; media blasting; engine dyno testing; general maintenance; and custom car audio.